Chalk Contours Of Watering Can, Boot And Barrow With Leaves And.. Royalty Free Cliparts, Vectors, And Stock Illustration. Image 100501932. 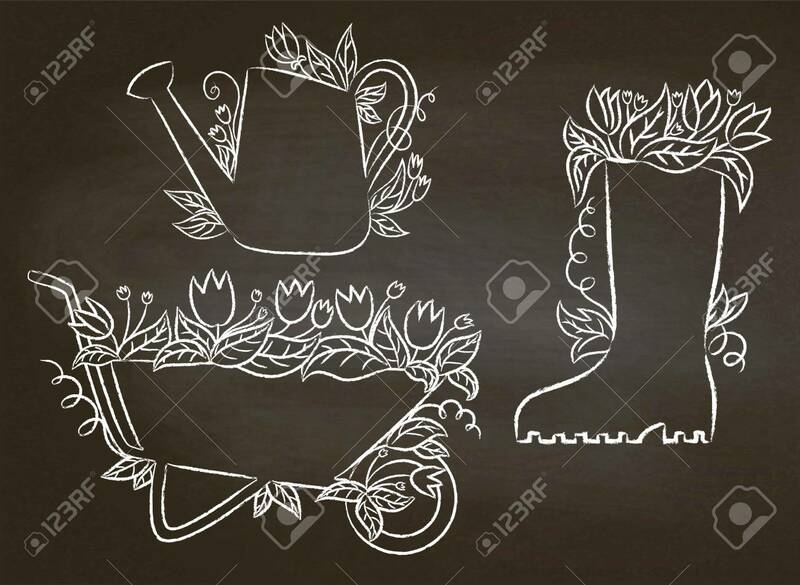 Vector - Chalk contours of watering can, boot and barrow with leaves and flowers.Collection of gardening placards on blackboard. Gardening typography posters set. Chalk contours of watering can, boot and barrow with leaves and flowers.Collection of gardening placards on blackboard. Gardening typography posters set.